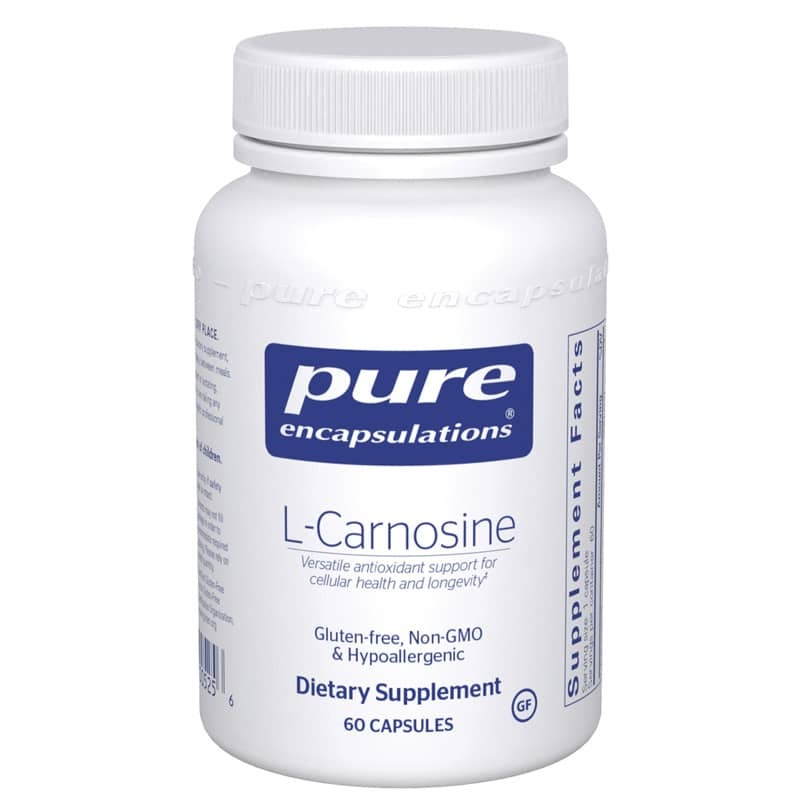 l-Carnosine (beta-alanyl-L-histidine) occurs naturally in the body's muscle and nervous tissues and is formed by the amino acids alanine and histidine. Levels of this dipeptide can decline with age. It is a water-soluble antioxidant with free-radical scavenging activity and is believed to promote cell health and cell longevity. In vitro, l-carnosine maintains healthy advanced glycation end-product, or AGE, activity. These end-products are formed when aldehydes (such as aldose and ketose sugars) and lipid peroxidation by-products bind to proteins. l-Carnosine plays a role in maintaining DNA integrity. l-Carnosine may also support superoxide dismutase activity. In addition, l-carnosine may help to maintain healthy peptide metabolism in the brain and its membrane-stabilizing properties support healthy lactate dehydrogenase activity of cardiovascular cells. The concentration of l-carnosine in muscle may prove to be an important factor in high-intensity exercise performance based on a recent human study. Adults: Take 1 to 3 capsules per day, in divided doses, between meals.